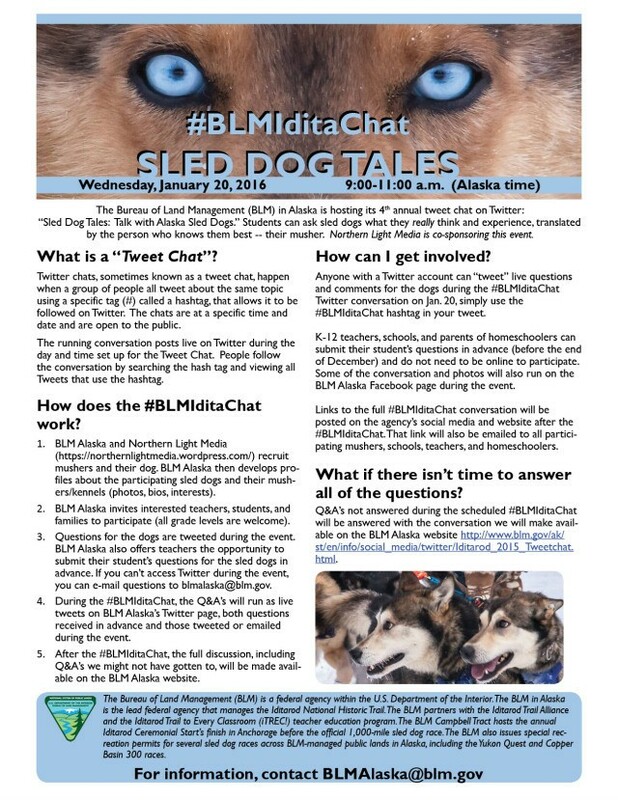 Pedigree Stage Stop - Sled Dogs and Racing News - Upcoming IditaChat opportunity for students. Upcoming IditaChat opportunity for students. Teachers! Submit your student's questions in advance (before the end of December) to be included in this tweet chat. Click on the picture to read more!